1. Shut off main water supply in air conditioning closet and water heater. Any other appliances not in use. 2. Close all Shutters East, West, North and South Sides. Management will not be closing for you. 3. Set your AC to desired Temperature. If closing shutters consider setting temperature lower. 4. Remove everything from balconies, walkways and doors. 5. Empty ice from freezer and shut off ice maker. Remove anything perishable from Refrigerator. Best to empty, open and turn off. Spoiled food ruined many during the 2004 Hurricanes. 6. Consider putting rolled up towels or swimming pool noodles in the tracks of your windows and sliding glass doors to minimize water intrusion. 7. Leave phone numbers/email address where you may be reached in case of an emergency on your kitchen counter or post on front of refrigerator. 8. Arrange to have a neighbor check your unit while you are gone. 9. Inform your guests of this checklist and to sign in the Guest Book in the Lobby. 10. In the event of a Hurricane refer to the Hurricane Preparedness Document available on our Website http://www.hibiscusbythesea.com and in the Lobby next to Guest Book. 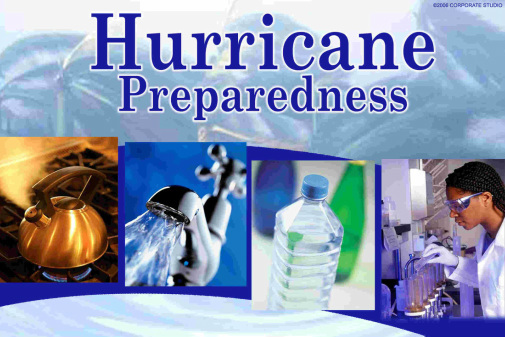 You are responsible for making arrangements to return to your property in the event of a hurricane to assess your own unit’s condition.